The answer is one we are sure you will be excited to learn about. Certified Pre-Owned (CPO) Hyundai vehicles are all recent model year used cars and crossovers in like-new condition, and backed by a manufacturer warranty. With Hyundai CPO, you’ll have less to worry about now and down the road. 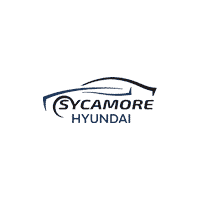 When you shop the CPO inventory at our Hyundai dealership in Sycamore, IL, you get the next best thing to a brand-new Hyundai for the price of a used. Most of the time, when you buy a used car you don’t benefit from the original warranty. CPO Hyundai owners, however, do enjoy the remainder of the vehicle’s warranties. Yes, there is a difference. With the increased popularity of certified vehicles, there has been an increase in the number of ‘certified’ vehicle programs available to consumers. However, the best deal is the one available from Hyundai through dealerships like ours. Read the table below to discover what makes the genuine article the gold standard. Are you interested in purchasing a certified pre-owned Hyundai model? Make sure to check out our CPO inventory. Additionally, CPO models are eligible for special financing rates. You can apply for Hyundai financing online. Have further questions about the Hyundai CPO program? Call (815) 895-4584 to be connected to a product specialist. 1 From original in service date and zero (0) miles. 2 $50 deductible per repair visit applies. 3 154-point inspection with Sonata Hybrid.